LAKE WALLENPAUPACK – A new winter event on the ice of Lake Wallenpaupack, combining a couple popular ones and adding another, is Wally Ice Fest, planned for January 28-29, 2017. Hopeful there will be a good solid surface of ice on Lake Wallenpaupack, the Chamber of the Northern Poconos has issued an invitation to sponsor the inaugural event. 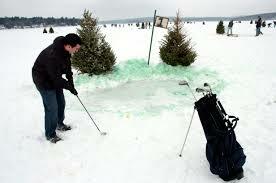 The 25th annual Ice Tee Golf tournament is scheduled for Sunday, January 29 in front of Silver Birches with two 9-hole courses. 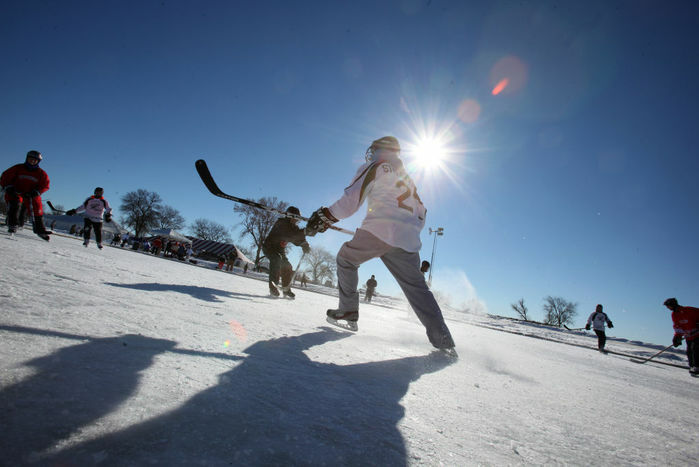 This will be coupled with something new: a Pond Hockey Tournament with rinks in front of Silver Birches and The Boat House. golf tournament. One of a kind ice sculpted tree signs provided by Sculpted Ice Works/Crystal Cabin Fever are planned. Saturday, January 28 and Sunday, January 29. 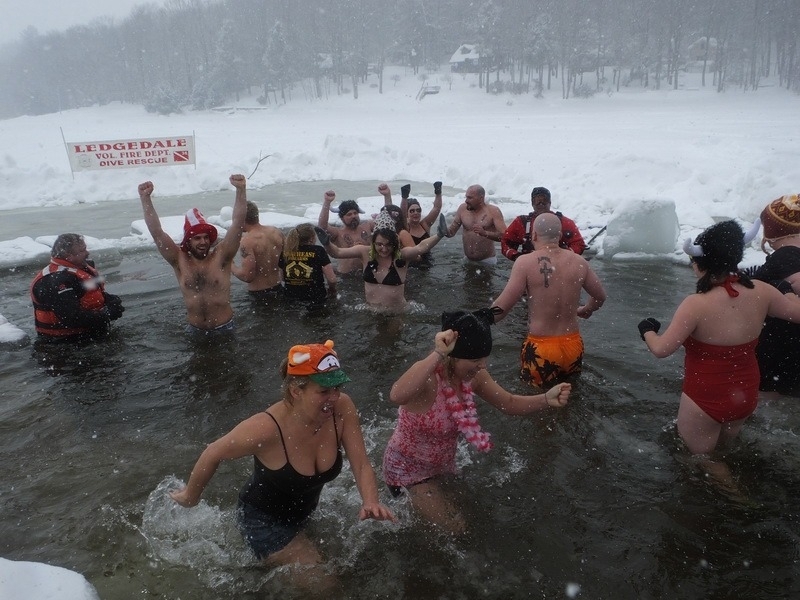 The Paupack Plunge, which normally took place each February in front of Lighthouse Harbor Marina will now be a part of the weekend of Wally Ice Fest. This event involves a quick dip in the icy cold waters of the lake, assisted by local dive team members. Proceeds support the Tafton Water Rescue Team and Ledgedale Dive Team. The event is planned this year at Lighthouse Harbor Marina on the south shore of the lake. The Paupack Plunge is scheduled for Saturday, January 28 from 11 a.m. to 3 p.m. If the ice or weather conditions require, an alternate weekend has been set aside, February 25/26. More details will be announced on these three events. The form outlines the various levels of participation and the Chamber encourages member businesses to become involved. “Participants will be traveling from all across the country to take part in one or more of these wonderful winter activities, and we ask that you help us make this event unique and amazing,” said Chamber officials. “Of course, Mother Nature will have the final say, as always, but if the event is canceled up to 75 percent of your sponsorship will be applied to next year’s event – so your business will get continued exposure throughout the year as a supporter of this event” said Chamber officials. Sponsorship levels range from $100 to $2,500. More information about Wally Ice Fest is forthcoming. Contact the Chamber’s Lake Wallenpaupack office at 570-226-3191 or visitwww.northernpoconoschamber.com. Reservations for Wally Ice Fest are available by emailing Maureen at maureen@northernpoconos.com.